ಹಿಂಗ್ಯಾಕೆ? : Governance from every home! 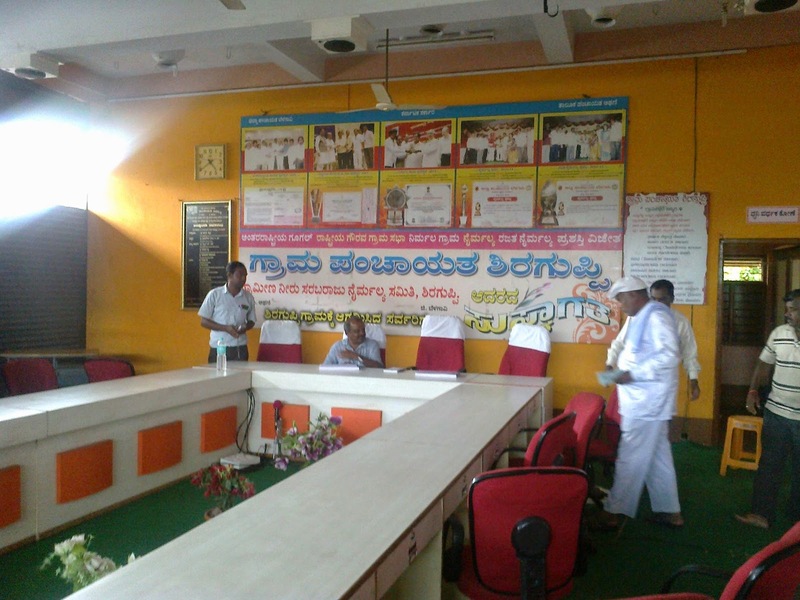 In this grama panchayat, the entire village can watch GP (grama panchayat) meeting live through cable TV. Any villager can call the GP and ask questions during the meeting. The questions will be discussed and answered back. The next plan is to install public address systems throughout the village so that apart from people sitting in front of TV, others working in streets, shops, household chores etc., should also know the discussions/decisions of the GP meeting. All the account details, govt. scheme utilization, tax collection and utilization, complete data about village is made available to any villager or even for the outsider. This is the story of Shiraguppi, 10,000 population village in Athani Taluk of Belagavi district. I asked Ramanagouda Patil the man behind this success, how did he got the idea of making everything transparent and involving villagers in decision making. He said, when he started working day and night for the welfare of the village, people started talking that Patil must be getting something (kickbacks) that's why he's working crazy. Patil came up with an idea of making everything transparent. Today every household has clean drinking water connection, 95% sanitation (5% left out are the migrants keep adding from neighboring districts), neat roads, drainage, clean garbage management and so on. First time I have seen former Karnataka minister Abdul Nazeer Saab(Neer Saab)'s photo along with Gandhi and Ambedkar! Everyday visitors, PDO trainees, students, govt. officials visit this village to learn the success story. Patil said he paid around 95,000/- hotel bill (tea, coffee expenses for the visitors) last month. We told him to put facilitation fee/entry fee for the visitors, he and his subordinate Kumbar said we can not tax our guests! Kumbar is called as Chitragupta! He's damn good at keeping statistics. Our half an hour visit extended upto 4 hours! We departed and told ourselves that we will visit again to learn and work with Shiraguppi GP.